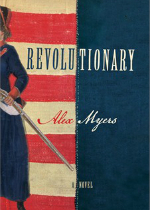 In his debut novel, Revolutionary, author Alex Myers puts forth a refreshingly unique Revolutionary War story. While still rooted in the loss and triumph of bloody battles, Myers challenges the well-worn patriot’s tale by focusing on Deborah Sampson Gannett, a real-life historical figure who successfully disguised herself as a man in order to enlist in the Revolutionary army. 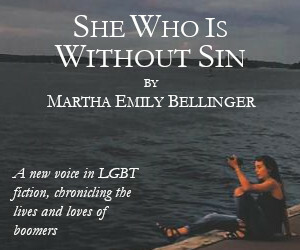 Under the name Robert Shurtliff, Deborah shook free of her small town in order to get a taste of what she really wanted: freedom and opportunity, two highly American values that have been (and still are) denied to some citizens. Blending historical fact with the emotion and intimacy of fiction, Revolutionary follows Deborah’s path, beginning with her restricted life as a weaver in the town of Middleborough, to her enlistment and training at West Point as a light infantry soldier, to her budding and lovely relationship with a fellow soldier, through to the end of the war. Although her secret was eventually uncovered–in the book and in history–by Dr. Barnabas Binney when she fell ill with a fever, Deborah served well, was discharged honorably, and was known as a good soldier and a brave man. That is the crux of the story, after all, and what differentiates it from others: Myers presents an incredibly complex protagonist in Deborah, whose gender identity is not taken as a given. In regards to craft, the novel succeeds in its execution of Deborah (or Robert’s) shifting feelings toward themself, gradually shifting pronouns and names to reflect the protagonist’s state of mind. During her training at West Point, Deborah starts to feel more at home as Robert than her previous self; as such, the narrative switches to refer to him as such. His camaraderie with his unit deepens, and his confidence and sense of accomplishment builds. When fellow soldier James is wounded, Robert takes care of him over the course of the winter in a willing citizen’s attic. The two begin a sweet and loving romance, and although James discovers Robert’s secret, it does not change his perceptions: “James loved Robert Shurtliff. He had not whispered Deborah’s name. He loved a man who was a soldier.” Their love, uniquely for that time, is based on even exchange and respect, and the knowledge that both are equally capable. It is only toward the end of the war, and after personal sorrow and distance from his unit, that Robert again begins to identify as Deborah: “she wanted a different kind of freedom, the freedom to let her guard down and to be herself. No more pretense, no more hiding.” When she ultimately leaves the military, she discloses her secret to her commanding officers, proud of her accomplishments. 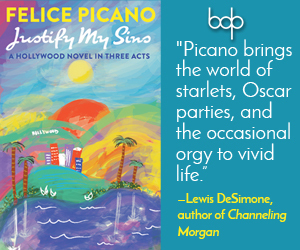 In telling this story, Myers manages to bring forward the gripping tale of a strong American icon while also providing an accessible, relatable, and complex meditation on gender identity, roles, and opportunity. A story for anyone who has dreamed larger than their given lot, Revolutionary is an admirable addition to the historical fiction genre, and one sorely needed.